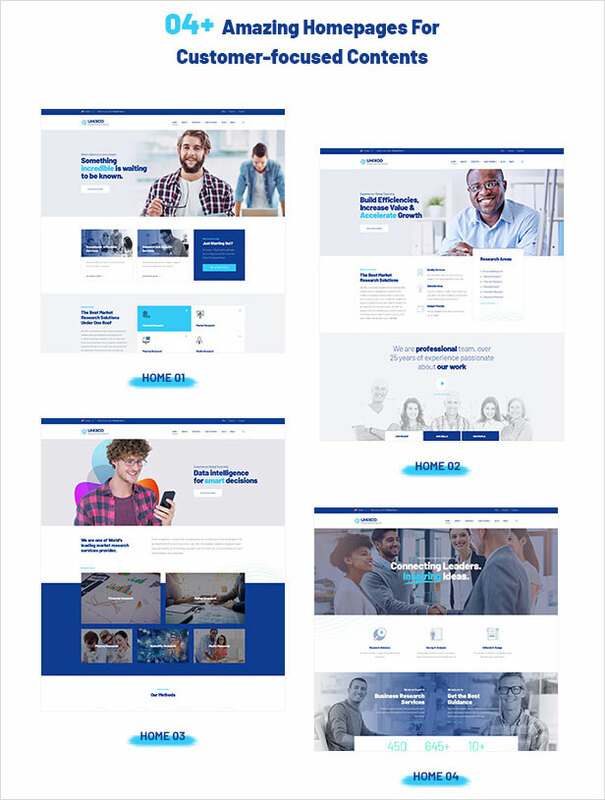 Only some hours ago Opal WordPress was so happy and grateful to release a specific new theme on Themeforest about Market Research, Business Consulting, Finance Service. It is Unixco carefully crafted to assist you in presenting your business research services impressively as well as building functional and beautiful website effortlessly. The theme is so elegant with 04+ Modern Homepages with well-designed sections to highlight your expertise. You are equipped to easily list practice areas, case studies, show portfolio, successful projects, testimonials, team members, missions and values, etc. Plus, a myriad of handy elements, templates, and inner pages are pre-made for you to make use of. Exciting effects and animation are packed block by block and page by page. Unixco is tailored to be as detailed as possible for you to use right away! As an essential part of the theme, Unixco is strongly impressive with Page Builder – Elementor. This resourceful tool enables you to build pages fast and easily with an intuitive interface and great visual display. The cool part is Real-time customizer! You can customize the block ‘s layout, color, typography, margins, padding and see changes instantly! 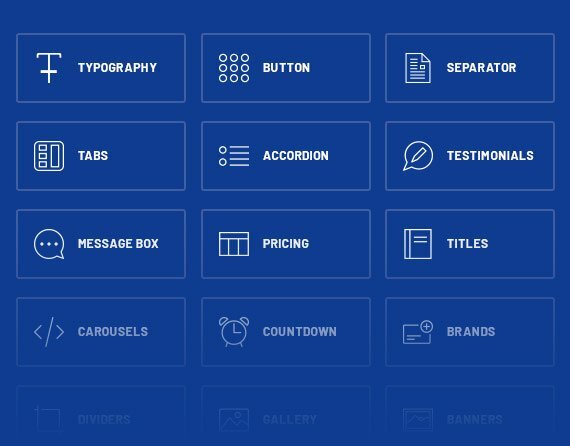 Header & Footer builder is a captivating choice for the user to change/config their contents, layouts, and style professionally without coding. With a huge library of widgets available, you are well supported to illustrate your business research services in the best way. All you have to do is Drag and Drop widgets. What’s more! Mobile Editing is clean optimized for you work consistently wherever you are in user-friendly interface. Also, you will find it easy to install and import demos with One-click Import tool. Customize your own page while seeing results vividly in real-time. So fast and furious! Crafting any segments with widgets, moving and placing segments freely by just dragging and dropping. You can be free to make an imaginative website as what you want. Beside Elementor ’s widgets, we include purposeful widgets made by Opal Team for smart illustration. You’re literally spoilt for choice! Make use of gorgeous pre-built templates, blocks, and pages or upload your own ones, it’s up to you! Mobile Editing is optimized for you work consistently wherever you are in the user-friendly interface. A lot of other features are also incredible and noticeable. Please take a bit time to discover and experience with Unixco. Surely you will be excited and eager to build up a professional website for the business research service. Everything you need we create available. If you meet any problems or need any helps, don’t hesitate to leave a below comment or drop us an email: help@wpopal.com. We will completely assist you 24/7.